As onsite specialists we can provide Excel training courses at your offices anywhere in Derbyshire. Our approach to software training is very practical, involving trainer-led demonstrations followed by delegate exercises. In this way your staff gain valuable Excel skills which will help them become more efficient in the office, saving both time and money. If you have 2 or more staff members the onsite training route will prove cheaper than sending them on to public courses. 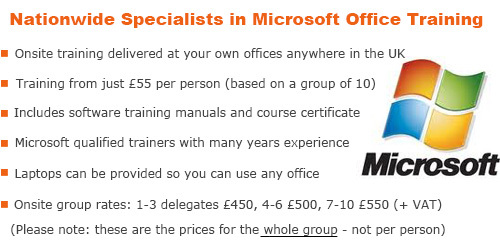 An open public Microsoft Office course will cost around £300 + VAT per delegate. In comparison, we can visit your offices and deliver tailored Excel training from as little as £55 per person (based on 10 delegates at the group rate of £550). You can view details including costs on our Onsite Training page. There are 3 general levels of MS Excel training: Foundation, Intermediate and Advanced. 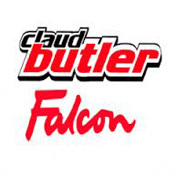 All of our onsite courses can be further customised to suit your particular requirements, at no extra cost. You may also wish to take advantage of our free Training Needs Analysis service in order to determine the correct level of training for your circumstances. For more information about Excel training courses in Derbyshire, please visit our Contact page or call us free on 0800 2922842 to discuss your requirements.